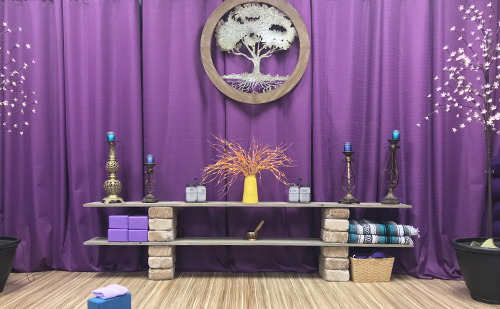 Yoga Den World Golf Village has been offering yoga classes to the World Golf Village and surrounding St. John’s county neighborhoods since 2016. Our studio is a welcoming, safe space where everyone leaves knowing they are apart of the Yoga Den World Golf Village family. Whether you are new to the practice of yoga or have been practicing for years, we have a class for you. Don’t have a yoga mat yet? Forgot your water bottle? Like to use a block to enhance your practice? We have you covered! Our studio offers mats, yoga blocks, blankets, sweat towels, bolsters, straps and water jars for our students to borrow. All our teachers are Yoga Den 200 or 500 hour certified ensuring our students are guided and encouraged while providing a safe space to experience their own personal yoga journey, free of any judgment or expectations while exploring the connection between the mind and body in their new yoga home.